To all transit advocates: the Union is your friend. It's true. When an agency is proposing huge service cuts or a transit referendum is on the table, the local union is the group that shows up to community meetings, knocks on doors, and gets people to the polls. ATU Local 689 in DC is one of the strongest local voices against WMATA's latest service cuts. Here's a video of ATU Local 732 in Atlanta out educating people about the upcoming MARTA referendum. Outside unions, transit advocates have a huge mobilization problem. They are advocating for a group of people who don't exist yet -- potential beneficiaries of a new train line or increased bus service. 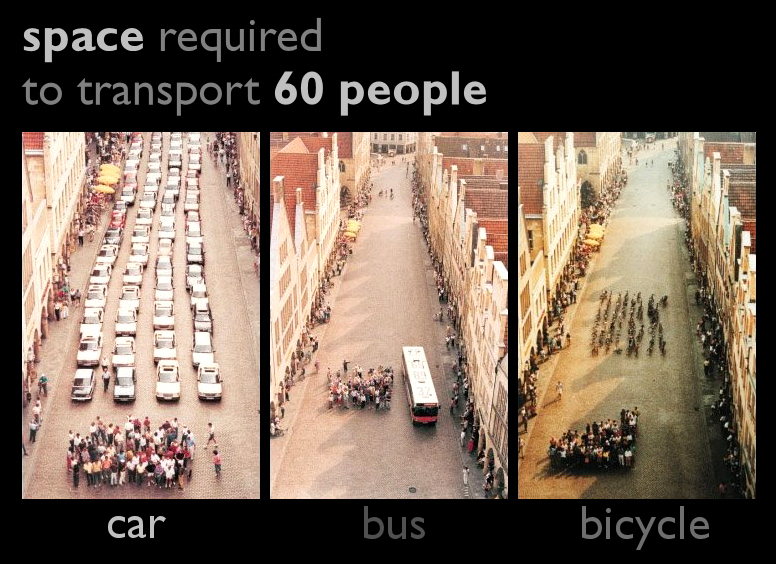 Cities are better when you can get around without a car, for those who can't afford a car, for air quality and environmental justice, and because cars are inefficient. But the classes of people who benefit aren't a politically salient, mobilizable group until the transit service exists. On the other hand, unions provide a constituency that (a) would see immediate benefit from more transit (higher job security, perhaps higher wages, larger union rolls), and (b) are politically cohesive as a group and have experience with political mobilization. It just makes sense to create a coalition that centers unions in the fight for increased transit service. Yet, if you follow discussions on Twitter among transit activists and enthusiasts or read the comments on articles about local transit issues, you'll see an incredible amount of anti-union sentiment. Amateur efficiency experts have realized that we can run so many more trains and buses if we just cut the amount of money we're paying to the drivers. This is politically short-sighted. The decline of unions over the last 50 years has seen lower wages across the board for American workers, an increase in inequality, and, guess what, decreased public services. Activists who want to eviscerate transit unions will only succeed in destroying transit's base of political support. The alternative is to work with unions to come up with transit plans that enable mobility and create jobs -- and guess what, cost more money. Let's start with the claims about LA's Bus Rider's Union -- particularly relevant, since Sandy Johnston's motivating question was why riders' advocacy groups are ineffective. I did some research for this post, and I couldn't find much about ties between the BRU and organized labor (though I hope to convince you in this post that closer ties would have been a great idea). Rather, BRU was formed to address racial disparities in the funding of LA's transit system. In 1992, the bus system carried 94% of LA's transit ridership but received only 29% of the budget. Buses were subsided $1.17 per passenger, compared to per-passenger subsidies of $2.92, $11.34, and $21.02 for the Red Line, Blue Line, and MetroLink (LA's commuter rail system). 80% of bus riders were people of color. MetroLink riders, largely wealthier and suburban, were 73% white. So is rail "more efficient" than buses? Carrying more people for less money certainly seems efficient to me. Perhaps the better question is: efficient for whom? BRU and the NAACP's Legal Defense Fund sued LA Metro in 1994 under the 14th Amendment and 1964 Civil Rights Act, for "intentionally discriminating against racial and ethnic minority groups in the delivery of transportation services." The resulting settlement, known as the "consent decree," forced LA Metro to buy more buses and run more service, and rethink the way they consider transportation investments. It is an incredible account of urban coalition-building, in which residents across disparate neighborhoods and of different races and classes successfully made their city work better for them, by increasing the transit service they relied on and reducing racial and class-based inequality. It's also worth noting that BRU sprung from a group of environmental justice activists at the Labor/Community Strategy Center (LCSC), who were fighting local oil refineries and air pollution. The fight for environmental justice, for antiracism, for class and income equality -- it's all connected. My figures on BRU come from Ryan Reft's "From Bus Riders Union to Bus Rapid Transit: Race, Class, and Transit Infrastructure in Los Angeles," which contains some great reporting on the history of BRU, criticism of BRU from pro-rail Angelinos, and BRU's lasting effects on LA's transit policy. Now: "What advocates want is more or better service for the same $". Sure. This is the wrong thing to want, though. Increased service will cost money, and advocates should advocate for that. But when it comes to the specific issue of transit costs, advocates for sustainable transportation should not get carried away thinking that solving the technical challenges of delivering cost-effective transit projects will be enough to overcome the political and policy hurdles to transit expansion. [T]ransit projects aren’t primarily inhibited by costs but rather by the fact the current political leadership ... simply does not value public transportation. ADVOCATES: Hey Governor Baker, we found a way for the MBTA to run more service without increasing the budget! CHARLIE BAKER: Great. That means we can run the *same* service and *cut* the budget. Hello tax cuts! Which is to say, when advocating for public goods, don't make common cause with fiscal conservatives. Of course, there can be fissures between drivers and riders, areas where interests do not necessarily align. It is true that given a fixed amount of money, labor exploitation is the key to squeezing more service out of your dollar. On the other side, unions would prefer that holes in agency's budgets be filled by increased fares rather than decreased wages. Coalitions are hard, and by their nature they include groups with different incentives and long-term goals. But the fact is that by forcing transit issues into an either-or lens, both labor and transit service suffer. To the extent that transit activists and unions can work together, we can forge a more progressive future with more transit service and better-paying jobs. Dutzik goes on to talk about Wisconsin, where Scott Walker bravely rejected $810 million from the federal government for a Madison-to-Milwaukee rail link. Walker also famously busted Wisconsin's public sector unions and passed a state "right-to-work" law. The fundamental point I want to make is: this is not a coincidence. The conservative attack on public life is broad-based, ideologically motivated, and surprisingly, tragically successful. It includes attacks on unions and public transit, as well as attacks on fair housing, equitable policing, public healthcare and education, etc. The fight back cannot be balkanized, or we will fail. Solidarity forever.